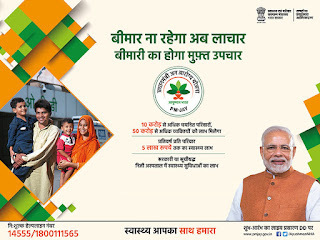 On Wednesday, 25 September 2018, The Indian Prime Minister Narendra Modi has announced from the ramparts of the Red Fort that the Pradhan Mantri Jan Arogya Yojana (Ayushman Bharat PMJAY), It also known as Ayushman Bharat National Health Mission and Modicare. 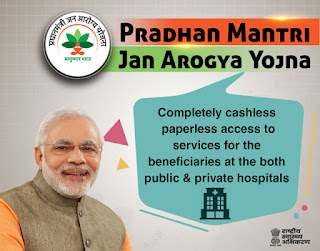 On March 21, 2018, The Cabinet already approved Pradhan Mantri Jan Arogya Abhiyan or Ayushman Bharat PM Yojana –National Health Mission (NHM). 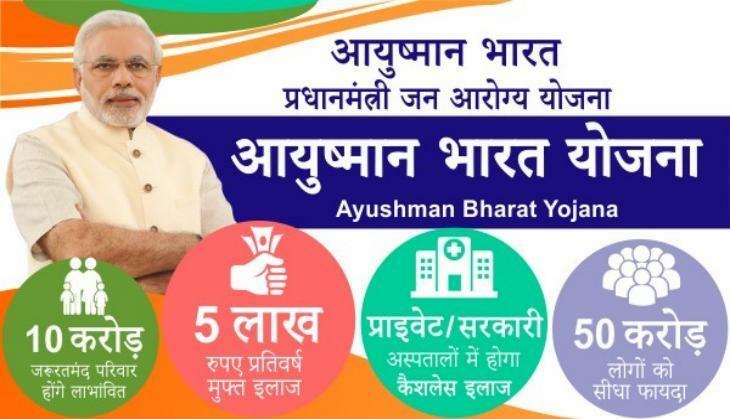 Click Here To Know who is eligible for Ayushman Bharat PM Jan Arogya Yojana? The Ayushman Bharat Yojana is a program to make a healthy and new India. Under the ambit of Ayushman Bharat, a Pradhan Mantri Jan Arogya Yojana (PM-JAY) to reduce the financial (Money) burden on poor and vulnerable family and ensure their access to quality health services was conceived. PM-JAY seeks to accelerate India’s progress towards achievement of Universal Health Coverage (UHC) and Sustainable Development Goal - 3 (SDG3). In ayushman bharat health insurance scheme, there are some reason to exclude from Modi's Ayushman Bharat Health Insurance. For more details click the link given below. The 2 Major elements consisted by Ayushman Bharat Yojana. 1st one is National Health Protection Scheme - National Health Protection Scheme will provide cashless treatment to patients in all over India. 2nd one is Wellness centres - Wellness centres will provide primary care to the patients. As per Ayushman Bharat Yojana under National Health Protection Scheme will cover over 10 crore poor and vulnerable families and providing coverage up to 5 lakh rupees per family per year without any premium or insurance for secondary and tertiary care hospitalization.